HeatCo are Australia’s specialist online bathroom and home heating store. HeatCo has broken the mould of selling electrical heating products via traditional store front means using ecommerce. HeatCo ecommerce allows anyone in Australia to instantly browse and purchase our products without leaving home and the quality of product representation on their screen is as good as taking it out of the carton. In this day and age of ‘big store’ hardware/homeware marketing always about being the lowest price, it is common to see products with flimsy quality, hard to trace brand history and limited warranty expectation. HeatCo instead prides itself on only offering locally designed European styled high quality products that represent good value for money. Whilst I am a Director and Co-Founder, I am also an electrician by trade. With a career of 30 years that includes installing and servicing our products, my experience ensures HeatCo only sells the best trade quality products in each category and ecommerce ensures that our product knowledge is communicated directly to our customer first hand. Whether you are in the trade or a homeowner I give you my personal assurance that your experience dealing with the HeatCo Team will be a happy one. Our customers ultimately determine our ranking in the market and our live customer feedback stream speaks for itself. I encourage you to also check out our Facebook page for news and updates. The business of Heatco Australia Pty Ltd ABN 16 613 418 518 ("HeatCo") is an Australian eCommerce business serving both retail and trade customers throughout Australia in the electrical heating industry. HeatCo is headquartered in Melbourne, VIC and is based online with the majority of product distribution run out of our Melbourne Logistics Centre. Some of our Australian product range is serviced from our New Zealand operation, especially spare parts. HeatCo has its foundations in the trade as the the business is owned/operated by ex electrical contractors. Underpinning HeatCo's success formula is the rare combination of experience with cutting edge eCommerce sales and marketing technology and customer connectivity, supported by good old fashioned trade based product knowledge, know-how and technical support. HeatCo also operates a sister business in New Zealand run under Heatco NZ Ltd, headquartered in Warkworth, North Auckland. The business of HeatCo commenced in 2015 with the principals operating as the Australian licensee/distributor for an established brand of heating products that emanated from an industry association going back to the 1980’s. It was quickly determined that the traditional distribution model that the heating brand was built on in New Zealand was outdated and unsuitable for establishing in Australia. With the eCommerce model proving successful under initial market testing, HeatCo quickly became the largest customer in Australia for the original heating brand under license. In 2019 HeatCo is currently developing markets in Papua New Guinea and the Pacific Islands region. 1. MISSION CRITICAL DELIVERY OF INFORMATION. HeatCo sell via eCommerce so that our unique product range is quickly, effectively and consistently represented and supported to the highest possible standard across Australia, to all Australians. HeatCo operates its online platform within the unwritten critical performance parameters for eCommerce design. This includes bandwidth speed, page structure, click limits and search-ability. For those customers that are less comfortable shopping online, we can just as easily take their order over the phone. 2. NOT ABOUT THE LOWEST PRICE. HeatCo is not just another heating/homeware outlet selling commonly available brands competing largely on just being the lowest price. Instead we offer trade quality products, with generous warranties, at good value for money. Because our founders have been in the electrical industry for 30+ years including as registered electrical contractors, the business is owned and run by people with experience in the trade. This includes experience with the installation of all our products, not just general experience in sales and marketing. We know good products when we see them and the best brands to promote - also inferior products to avoid. A product cannot just look good, it has to be well made, have good reliability and install efficiently. 4. TRADE BASED TECHNICAL SUPPORT. Because of our first-hand experience installing and servicing our products, we can provide our customers with fast, qualified installation and technical support. Our customer review feedback stream via the product listings speaks for itself. Our product information anticipates all the questions a customer or installer would ask. HeatCo provides fast, reliable on the spot advice and technical support. (You are not just deferred to another department or handed a tradies business card). Product information and familiarity displayed on your screen - as good as pulling the product out of the carton. Products shipped to the workshop or direct to site. Full trade based product and technical support. 6. THE MAN WHO RUNS THE STORE, OWNS THE STORE. HeatCo is an international business but not corporate. We operate clear lines of communication and accountability. How our customers perceive us and remember their product experience is something we hold personally. Every HeatCo customer is important, no matter if you are a large national client or homeowner looking for a single product. All customer service requirements are swiftly expedited at a local owner operator level, not through a myriad of faceless call centres in a faraway place. 7. MINIMISING TYRANNY OF DISTANCE. Because our online store is coupled to our all-inclusive Toll / StarTrack / Fastway national delivery service, we make our products easily and seamlessly accessible to all customers, anywhere in Australia. The HeatCo team sources from around the world innovative new products. This online store is regularly updated with the best available in each category. New product ranges are continuously being researched. We sell to both the retail consumer and to trade contractors. We will quote for specific project quantities. Trade based customers should register their business via our TRADE CENTRE portal to immediately receive trade based pricing. All products are displayed as available are currently in stock, unless otherwise stated in each product listing. Whilst our reputation sees that we have no need to solicit customer testimonials, we do run a live customer feedback stream displayed via our product listings. This speaks for itself and is just copied verbatim from our customer communications in the normal course of business. Feel free to browse our online range and please contact us if you have any further queries. So, welcome and thanks for visiting HeatCo Australia. You're in good hands now. All customers have the option to pay directly online using their credit card via worldwide payment facilitator PayPal who facilitate all HeatCo Australia online transactions. We can also take your order and credit card payment just as easily over the phone. We can also accept bank transfer by direct credit. Customer credit card details are not retained by either HeatCo or PayPal once a transaction is completed. The PayPal receipt for payment should be treated as confirmation that your order has been received by HeatCo. As PayPal are an independent provider to HeatCo, all transactions are required to be transacted in accordance with PayPal terms and conditions. It is a requirement of both HeatCo and PayPal and our courier(s) is that all address and contact details are entered correctly. If any required address or contact number is omitted, the order despatch will held until the correct details are secured. All warranty periods commence from the date of sale, not the date of manufacture. A significant point of difference is our HeatCo in-house warranty management. All product warranties are administered and supported by HeatCo and we operate a very robust returns policy. If what you got is clearly not what we sold you, then your money back. Because our products are among the highest quality in their categories, our warranty claims % is actually very low. As we manage all warranties in-house HeatCo will quickly attend to your warranty claim and decide whether to either repair or replace. HeatCo will not just refer your claim to on to the manufacturer as is common. 1. Please refer to the Warranty exclusions stated within the product listings (Installation info). 2. Products must be installed in accordance with the manufacturers installation instructions. This includes installation by suitably qualified personnel as required by the manufacturer and relevant Australian Wiring Regulations. 3. Products must be used for the purpose designed/intended in accordance with the manufacturer's operating instructions (for example; using a fan heater as a cooking appliance will void the warranty). 4. We require either the proof of purchase or the completed warranty card. 5. Warranties exclude the electrician's costs of changing/swapping hardwired products (excluding underfloor heating). 6. Warranty claims require a prior inspection in-situ at the direction of HeatCo by suitably qualified personnel. This can include the customer supplying photo(s) of the installed product. 7. Where we offer a replacement, we require that the original product is sent back to us prior to despatch of the replacement. 8. We require that the customer prepares the item for return shipping. This can include wrapping, fixing shipping lables, facilitating the despatch and pre-paying the return freight (HeatCo will reimburse the customer for all return freight costs). HeatCo are happy to accept product returns for exchange, including meeting our obligations under Australian Consumer Law (ACL). Unless pre-agreed with HeatCo in writing prior to purchase, we charge a 20% restocking fee in addition to the return freight costs. The fee is necessary to recover costs incurred for warehousing and pre-resale quality assurance checks. This includes exchanging a product for another model or colour becasue the customer changed their mind. In the unlikely event that our online representation is proven to be clearly inaccurate, HeatCo will accept the goods for return and provide a full refund including paying the return freight. 1. Products must be in their original packaging and be undamaged. 2. Products must not have been installed. 3. Products must include all the original installation and operating manuals. 4. Prior to issuing a refund, HeatCo requires confirmation that the goods being returned have been despatched. 5. 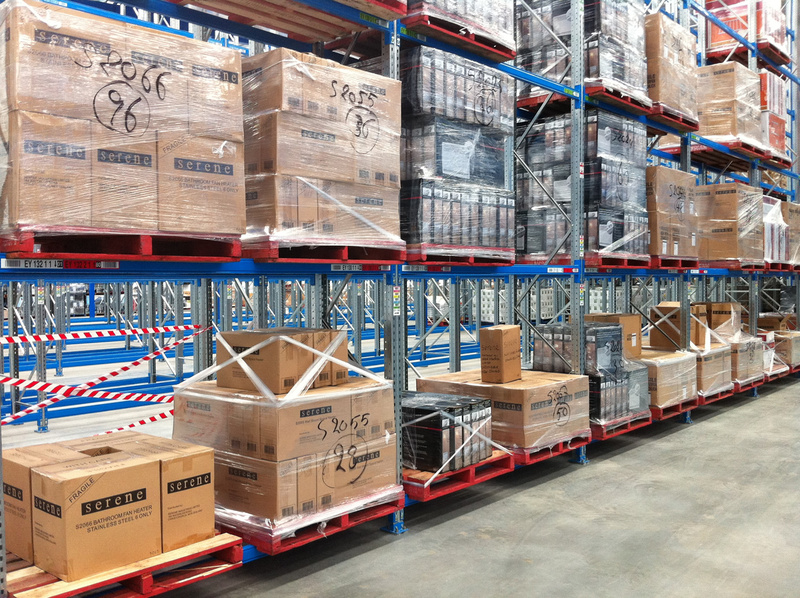 All product returns are required to be sent to our Melbourne logistics centre. All refunds on returned product must be processed and paid direct into an Australian bank account. We do not process any refunds back through PayPal to your credit card. HeatCo offers all customers the option to pay for products via worldwide payment facilitator PayPal. Customer credit card details are not retained by HeatCo once a transaction is completed. All orders are loaded for despatch the same day as they are received. Orders received prior to 1030 AEST are normally despatched the same day, those received after 1030 are despatched to following day. Exceptions can apply where demand is heavier than usual and despatch is delayed by a day. HeatCo operate a full door to door Australia wide delivery service for all products. Because freight costs vary considerably around Australia depending on the delivery address, the freight is quoted and added separately at checkout. All shipments are routed nationally via either Fastway Couriers (Aramex), Star Track Couriers (Au Post), Toll Priority. Which freight company we use is determined by the size of the shipment and destination. Some shipments may be despatched from our operation in New Zealand. There is no delay or extra charge when shipping from New Zealand, more often this is just as fast as freight around Australia from our Melbourne depot. All shipments are despatched via a 'Track and Trace' service as standard. You will need to advise us if you require an additional 'signature required'. Otherwise all goods will be left at the customers specified delivery address. Every shipment is individually product quality checked by us prior to despatch. Risk of any damage or loss passes to the customer at the point the courier leaves the shipment at the customers specified delivery address. For any faulty product requiring return, we can arrange the return freight for you. Whilst HeatCo requires that all freight companies it uses expedites all customer deliveries without undue delay and with proper care, they are independent providers to HeatCo and their service is ultimately beyond our control. Whilst HeatCo can provide a likely delivery lead time based on prior experience, the precise delivery date and time cannot be guaranteed. HeatCo Australia offers trade pricing to contractors including Electricians, Plumbers, Builders, Developers and Project Managers. All trade customers are required to register their business via our TRADE CENTRE portal to receive trade pricing. All pricing (including trade pricing) is on the basis of a cash sale transaction. HeatCo operates as a Australian national online reseller of heating and cooling products, elements and controls including spare parts. HeatCo will uphold its responsibilities as required by Australian Consumer Law. These terms are governed in accordance with the laws of Victoria, Australia. All parties relying on these terms and conditions agree to submit to the laws of this jurisdiction. Where any provision of these terms is deemed either void, unlawful or unenforceable, that provision may be severed from the rest without it effecting the standing of the remaining provisions. This website may contain links to other manufacturers websites. Any link is only for the purpose of supplementary product information on the basis of best endeavours to assist the customer. HeatCo gives no warranty as to the accuracy or currency of such information provided by any third party. All product information on this website is current at the time of publication, but remains subject to change without notice prior to sale. HeatCo makes every effort to ensure that all information published is accurate, factual and complete. All visitors to this site must assume that any reliance of this information is at their own risk. Refer also 4. Products listed on this website are all available in stock. HeatCo retains the right to either add, upgrade, change or discontinue any product on this website at any time without notice. All pricing published by HeatCo is based on a cash sale transaction. HeatCo cannot guarantee that published prices will still apply when customers choose to purchase through any selected outlets as they are independent businesses to HeatCo. This includes customers seeking trade credit terms. Please refer to our Terms and Conditions outlined separately within the Freight & Delivery section. HeatCo operates as a reseller of various product brands but does not purport to hold any ownership rights to any brand that it sells. Information contained on this site including supplimentary information that is provided separately to customers on application will include information relating to products including (but not limited to): technical specifications, designs, drawings, data sheets, images and test results. All information remains proprietary to the manufacturer unless otherwise specifically stated. Unless required by Australian law HeatCo will not be held liable to the website viewer or any third party for any damage caused directly or indirectly as a result of the use of this HeatCo website. You agree to indemnify and keep indemnified HeatCo from any liability or damages incurred as a result of your use of this website. Please refer to our Payment Security details outlined separately within the Online Payment Security section. Please refer to our Terms and Conditions outlined separately within the Warranties & Returns section. 15. HeatCo remains committed to the privacy of everyone who does business with us. Any information collected from customers by HeatCo, including that completed via application forms, will be treated by HeatCo as private and confidential and be managed with the at least the same degree of security and care that HeatCo manages its own commercial information and would expect anyone else to manage our own information. 16. This information is collected in both hard and electronic format via the normal course of our business, including: general correspondence, requests for information, account applications, trading and transaction records, delivery/freight forwarding records and website analytics. 17. Whilst HeatCo retains information in the interests of sound record keeping (excludes credit card details), unless required by law or as requested by the person or entity that the information directly relates to, HeatCo will never otherwise disclose, share or sell any information, personal or otherwise. 18. Whilst HeatCo may add its customer details to a direct mail database, the customer will always be given a simple ‘opt out’ or 'unsubscribe' option to enable them to be quickly removed from such a list. Econo-Heat were established in 1990 and are headquarted in South Africa. They remain world leaders in manufacturing energy efficient wall heating panels. Paintable to match any décor, these heaters are an innovative and economical alternative to traditional convection panel heaters. 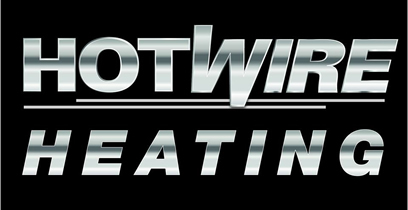 Hotwire Heating has its foundations in New Zealand and has been in Australia since 2004. They specialise in high quality 'Easy-Fix' patented heated towel rails and under tile / in-screed floor heating systems. Serene product foundations originated in 1967 in New Zealand. They were previously known in Australia and New Zealand until 2012 under the SKOPE HEATING brand, that was synonymous with the highest quality NZ made bathroom heating products. Atlantic were established in 1968 and are headquartered in France. They are designers and manufacturers of Eurpoean styled heating and cooling products. IntelliSwitch are an innovative range of timer switching accessories made in New Zealand by eSource Products. These timers are specifically designed for added power saving control to bathroom heated towel rails. Just call the number below to speak with a customer support representitive about this product or to place your order over the phone. We only ship online orders to Australian addresses. Tell us your location below so we can calculate your shipping cost.